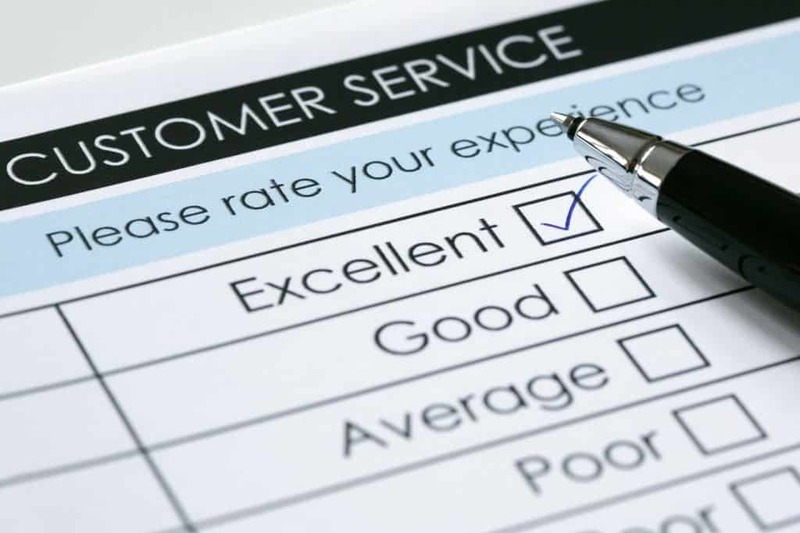 These Customer Excellence training course materials have been designed to enhance your organisation’s customer service offering and focuses on tangible actions that participants can take back to the workplace and implement quickly and easily. 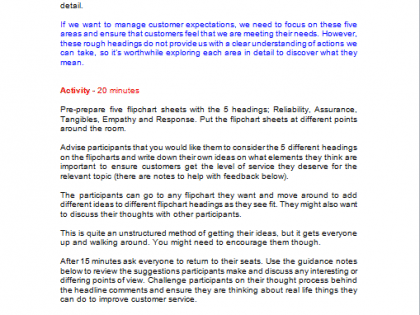 The methods contained within the training course materials are easy to work with no matter what type of organisation participants work for, or their level within it. It’s about going from good to great. The main aim of these customer service training course materials is to provide participants with lots of ideas and actions based on their own job role that they can easily take back to the workplace and implement immediately in order to improve the experience of customers. 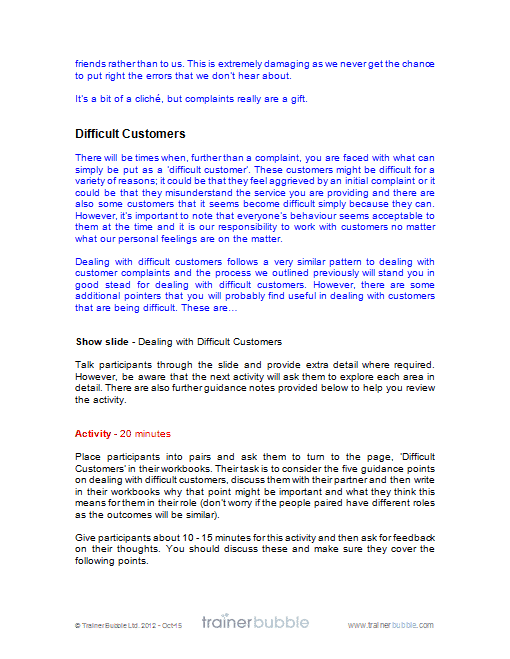 These customer excellence training course materials are incredibly action based and participants are challenged to return to the workplace with a set of clear, self-developed guidelines that will improve service standards from day one. 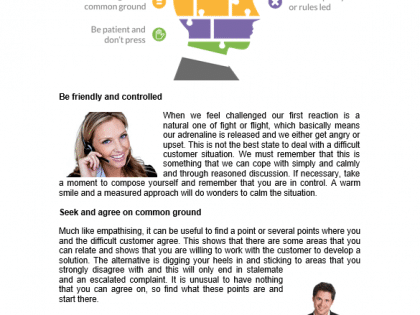 Reverse Brainstorm Icebreaker – Focuses on the customer’s experience of customer service in a light-hearted way that warms them to the topic and identifies initial gripes that can be addressed. 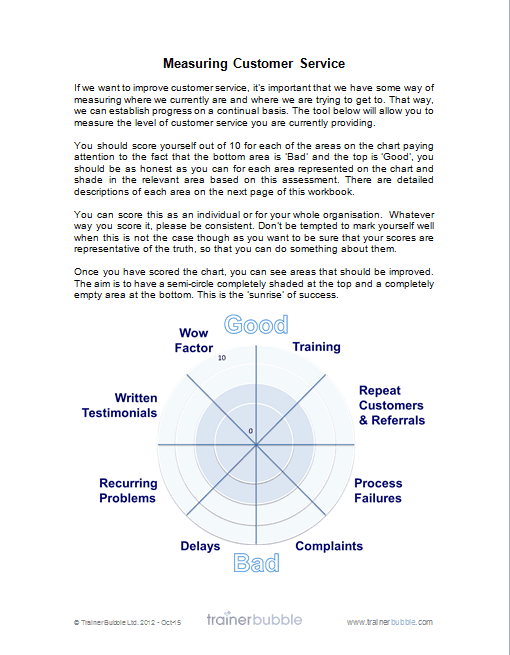 Measuring Customer Service – Using a clear development tool to measure current standards of customer service and identifying areas for improvement. 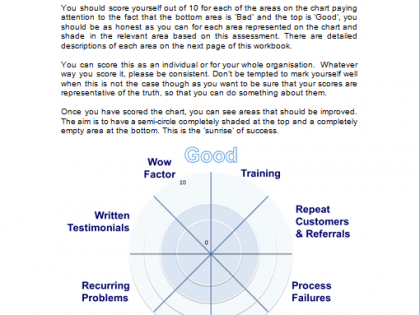 This tool is also provided in a format that can be taken back to the workplace for further customer service measuring and improvements. 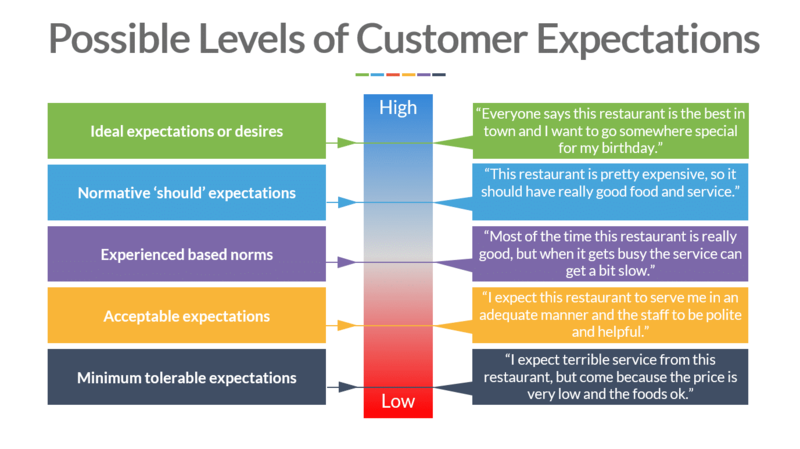 My Customer Service Brand – Establishing what level of service each individual would like to offer and what they would like customers to say about them followed by actions to make this happen. 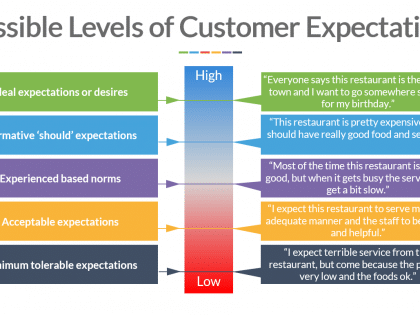 Managing Customer Expectations – Understanding customer service expectation levels and focusing on the five key areas of customer service; Reliability, Assurance, Tangibles, Empathy and Response. 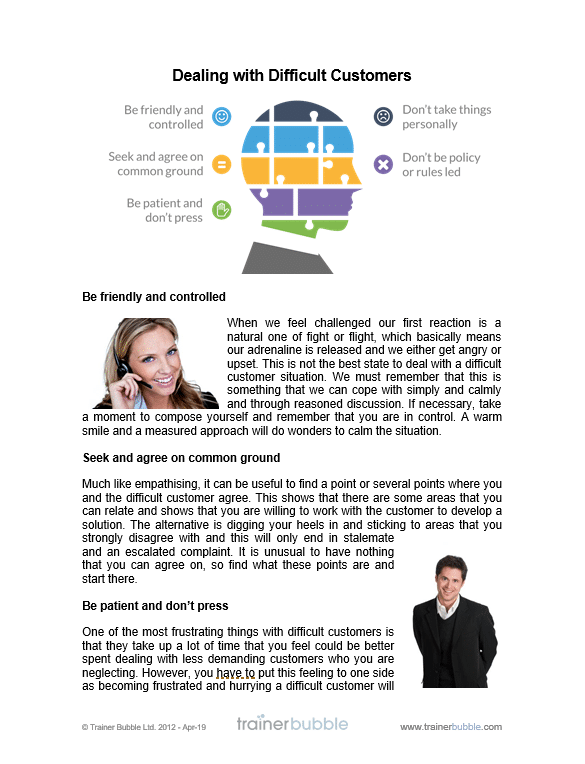 Customer Complaints – Establishing why they occur, what can be done about them and how we can stop them from happening in the first place. 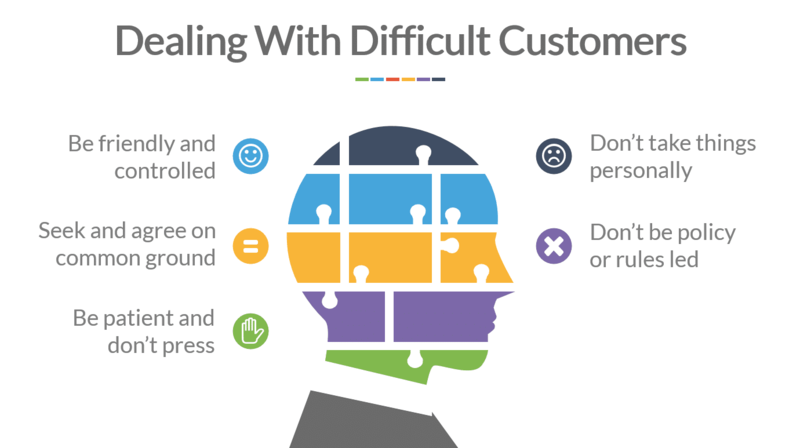 Supported with a clear process for dealing with customer complaints. 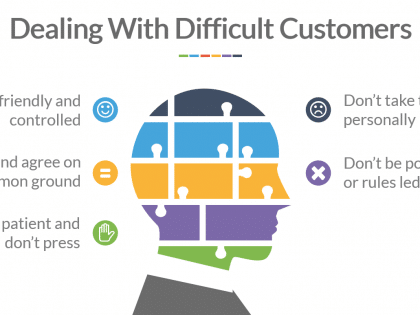 Difficult Customers – Looking at why customers can seem difficult, what can be done about it and the behaviours we should display when dealing with difficult customers. 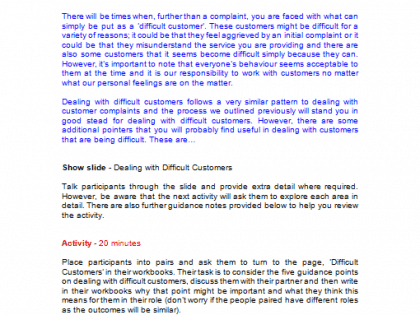 Gremlin in the Works – A fun activity that brings together the key learning points and challenges participants to identify and resolve issues in a customer process simulation. These can then be apply to the individuals work processes and used to create actions. 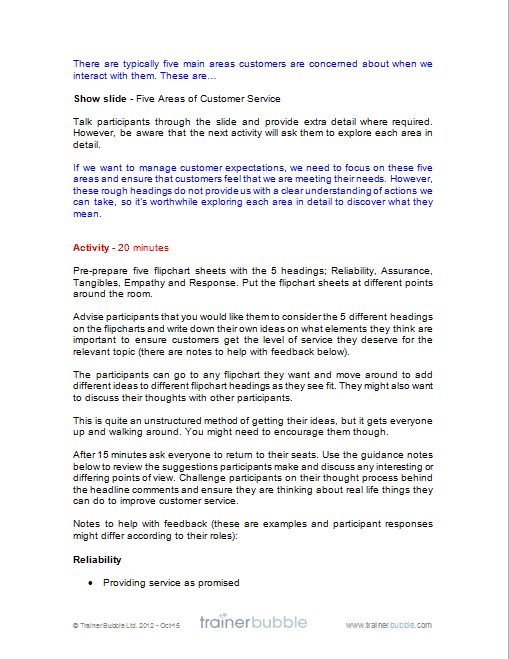 Excellent Actions – A collection of the key things that customers consider to be important in customer service and how participants can apply them to their own behaviours and take the actions back to the workplace. This activity leaves participants with ideas buzzing round their head as the session closes out. 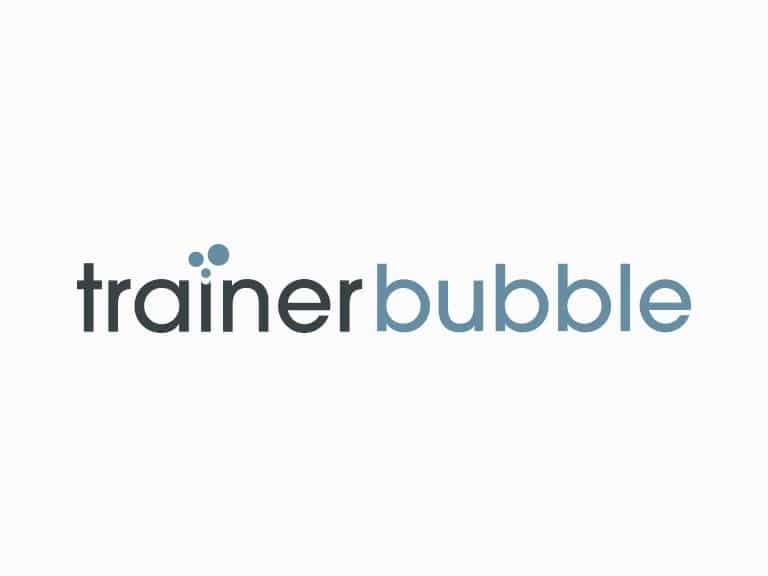 As with all Trainer Bubble training course materials, this training course is incredible interactive and engaging and leaves participants with clear actions that they can take back to work.